Schwarzenegger is known for his roles in multiple films and TV appearances, although he is more known for his role in the Terminator films. It seems that he has followed the Terminator role and turned his G-Wagon into an all-electric beast. The G-Wagon is an impressive machine and can be viewed at Mercedes Hindhead and partnering dealerships. 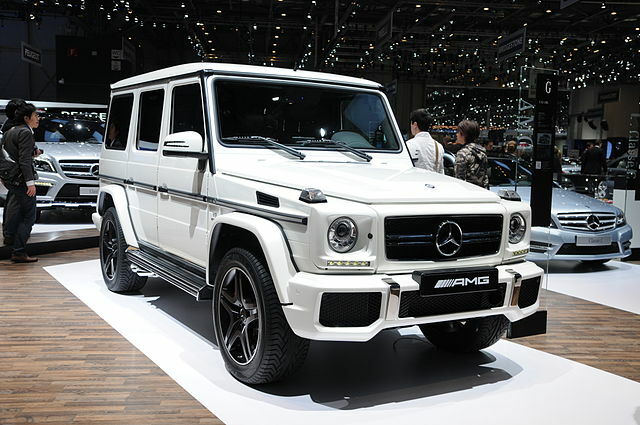 In the past couple of years, the G-Wagon has become more and more popular with celebrities and general drivers. It is clear to see why people are buying them and if you had the chance, you probably would too. The engine is a 2,987 cc, Semi-Auto transmission, diesel tank that runs and delivers an impressive 245 BHP of power. It also has a torque of 443lb/ft. and has a very nice top speed of 119 mph. Not only that, but the 0-60 time is only 8.80 seconds! For the size and weight of the G-Wagon, that is an impressive time. Arnold didn’t come up with the idea of transforming his G-Wagon into an electric vehicle. Kreisel Electric actually asked Schwarzenegger if they could transform his personal vehicle into an all-electric car. By the looks of it, he jumped on the opportunity, and it is impressive. To start with, they pulled the diesel V6 out of the car and replaced it with electric batteries. To be exact, they added 80kWH worth of batteries in the hood, boot, and where the fuel tank would normally be located. Looking back at the original G-Wagon, it had a diesel V6 pushing 245BHP. With the 80kWh of batteries, it has lost 500 kg of weight and increased the BHP to 482. This means the 0-60 has also been juiced to just 5.6 seconds! Is the Kreisel G-Wagon Any Better? People thought that due to removing the V6 engine, the off-road usability would be reduced. However, Kreisel has stated that the 4-wheel drive is as good, if not better than the original. This is due to the two electric motors producing a max power of 360kW giving it a sports car acceleration. The idea of having to charge a car puts many off the idea of an electric car. Thankfully, due to new battery technology, electric cars can be charged in a short amount of time with up to 150kW. This means that the vehicle can be 80 percent charged with just 25 minutes of charging time. On top of this, the Kreisel G-Wagon has two batteries with a capacity of 80kWh meaning the range is unmatched by other electric cars. Will it hit the streets? Schwarzenegger’s G-Wagon is actually the first prototype on the streets (US). The whole project came about due to Schwarzenegger’s activities as the governor of California. He has tirelessly worked towards renewable energies including the use of electric vehicles. Now he has partnered with Kreisel Electric, and we should start seeing more electric vehicles hitting the streets. Overall, if Kreisel Electric sticks to making electric vehicles, they will be on to something better and efficient soon.